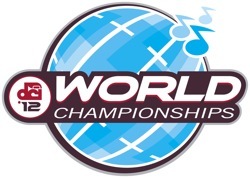 The Drum Corps International World Championships returned Aug. 9-11, 2012 to Indianapolis. DCI is pleased to release preliminary attendance figures for the Prelims, Semifinals and Finals events hosted last weekend at Lucas Oil Stadium. The attendance for the three-day event totals 36,494, which does not include thousands of corps and staff members who entered the stadium after performances with wristbands or staff/VIP credentials. "We are very pleased to post a modest year-over-year increase in paid attendance across the three events at Lucas Oil Stadium," said DCI Executive Director/CEO Dan Acheson. "In addition, we've seen a preliminary report of 40,000 who came to movie theaters for our annual Big, Loud & Live broadcast, bringing that Prelims event up among the highest number of people who have witnessed a live Drum Corps International World Championship event on one day." The Cavaliers perform at Lucas Oil Stadium during the World Championship Finals. The two-day attendance total for Open Class events in Michigan City, Ind. (Aug. 6-7) came in at 1,308, up from 1,191 in 2011. "This is definitely a year of terrific milestones for Drum Corps International and its member corps," Acheson said. "With a record crowd on hand in Atlanta, as well as a record number in the second year of our Tour Premiere movie theater event in June, and with the ongoing growth of many other events around the country, we look forward to continuing to develop new opportunities to engage more people in the drum corps experience, which is a fundamental element of our strategic plan." 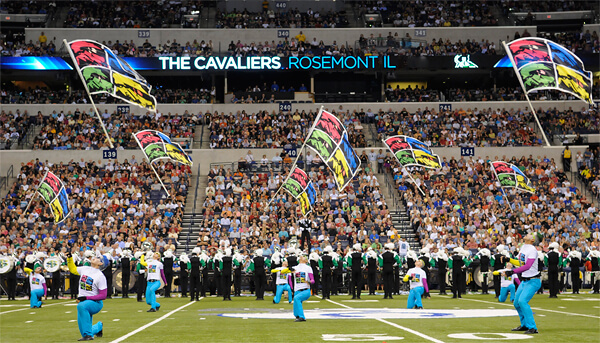 The DCI World Championships will once again head to Michigan City and Indianapolis, Aug. 5-10, 2013.